Helloween is just around the corner and I wanted to share at least one pumpkin recipe before the holiday. Pumpkins in Japan are called Kabocha (カボチャ) and it is one of the most celebrated flavors in the fall. Over here in the US, I’ve been seeing kabocha (or kabocha squash) being sold alongside with pumpkins and other squashes at some local grocery stores and farmers markets. Today I’m sharing a recipe for Instant Pot Kabocha Flan (かぼちゃプリン). The golden sweetness and richness of kabocha, when used in an elegant dessert like flan, it really highlights how versatile the Japanese pumpkin can be. 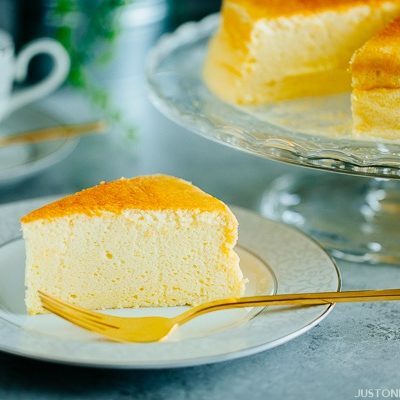 Now it is time to take out your workhorse Instant Pot and make this kabocha-flavored flan for the season. Pureeing the kabocha is an important step for a smooth and silky texture of this autumnal flavored flan. I used a fine mesh sieve (Uragoshiki in Japanese) to puree but you can definitely speed it up with a food processor. It is an extra step, but this helps to pulverize the fibers of the mashed kabocha. Nobody wants to see and bite into strands of fiber in their flan, so don’t skip this step! The cooking time varies based on the size of the ramekins you use. For a consistent result, make sure your ramekins are all in the same size and shape. You don’t want to end up with a flan in a smaller ramekin over-cooked and the one in bigger ramekin under-cooked. Adjust the cooking time if you’re using a different size ramekin than mine. For my recipe, I used 6-oz ramekins. It took 6 minutes of high-pressure cooking and 10 minutes of natural release. This 10 minute “natural release” is actually a hard stop. Do not wait until the pressure is naturally released. 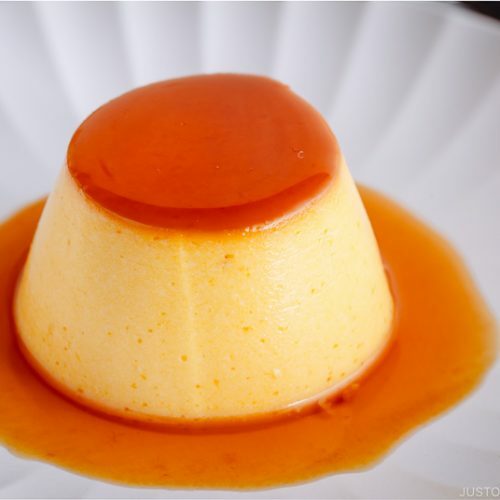 Remember, your flan is being “cooked” during the pre-pressure time, 6 minutes of pressure cooking, and 10 minutes of natural releasing time. This entire time is counted as cooking time. What is the number one thing you have to achieve when you make flans? 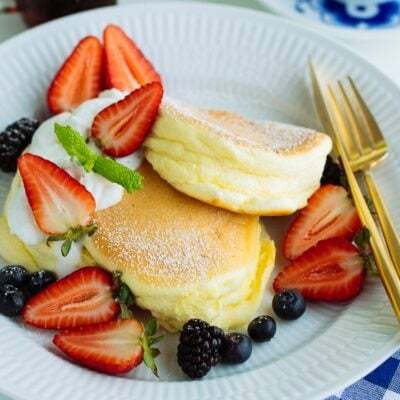 In Japan, it is “a silky texture WITHOUT HOLES”. If you can see visible holes, then your flan is a failure (so harsh!). The reason why flans have very visible holes is either it’s overcooked and/or the heat is too strong. If you look at my flan, you can see tiny holes around the edges (a minor failure) but when you see inside the flan, there is no hole (see 2 pictures above). Those tiny holes on the edge were created because they are right next to the ramekin and the heat was probably too direct and strong. You may wonder what is wrong with holes. 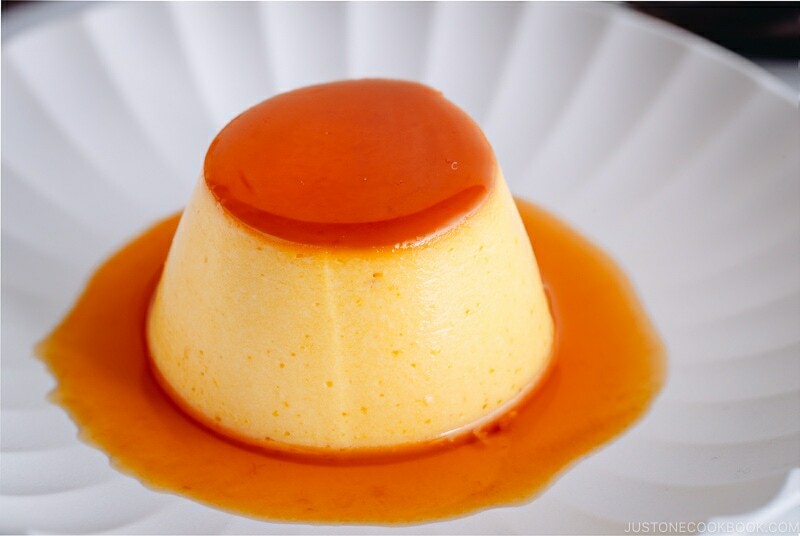 Well, those holes in the flan give an unpleasant texture, far from the silky smooth texture that you’re after. Therefore, watch out on cooking time and heat distribution. If you have lots of holes, even in the center of the flan, not just the outside, then you are definitely overcooking it. You can either reduce the pressure cooking time or natural release time. 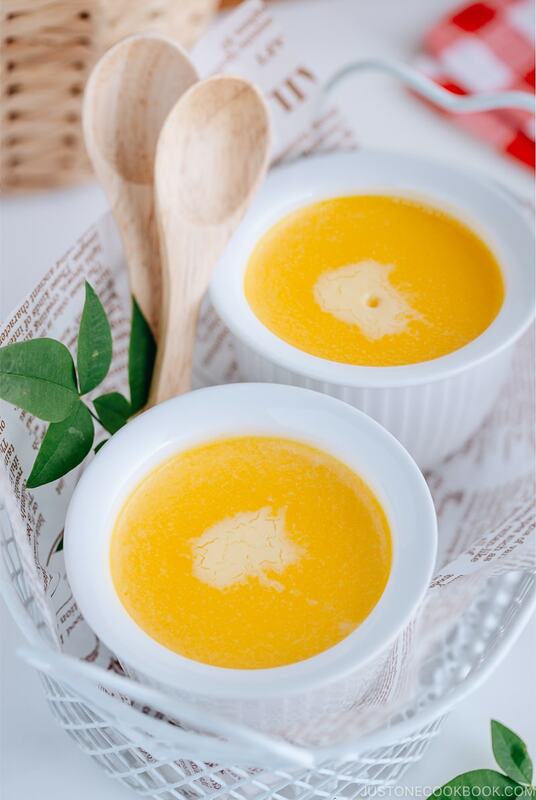 Unfamiliar with the Items in Instant Pot Kabocha Flan Recipe? It’s called kabocha squash in the US and Japanese pumpkin in Australia (how about in your country?). 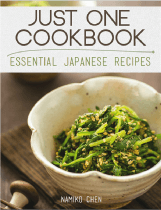 Curious about kabocha? You can read a little bit more about it here on my blog. The instant pot comes with a steamer basket (wire rack) for steaming, but the gap between wires are bigger and food can easily fall down. This collapsible steamer basket has been my all-time favorite for steaming in the pot or the instant pot. It’s the best $8 you could spend, especially if you enjoy steaming vegetables and other food. 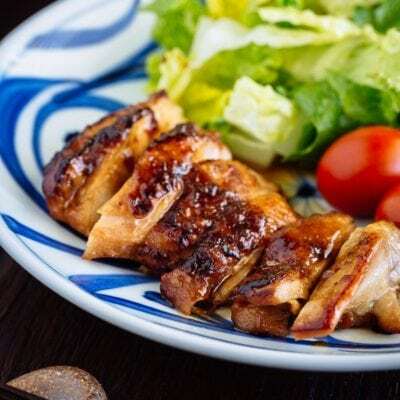 In Japan, we have a specific kitchen utensil for straining food into a smooth texture and it’s called Uragoshiki (裏ごし器). 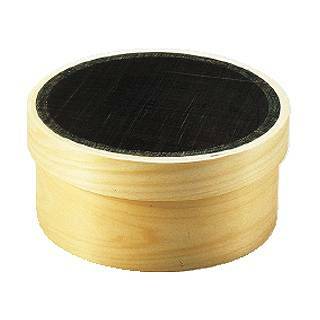 It’s made of wooden cylinders and a fine mesh made of horsehair traditionally, but in recent years, nylon and metal are being used. 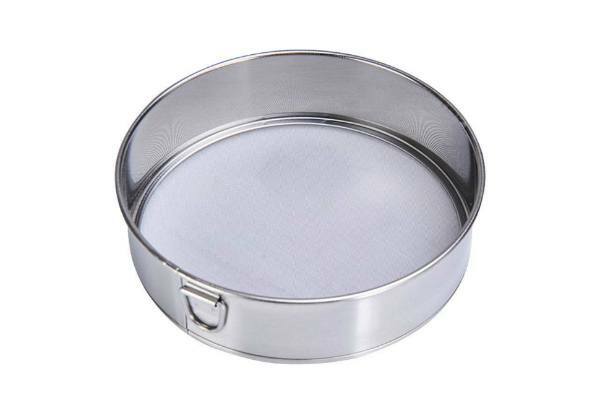 This fine mesh flour sifter can be used as a strainer for starchy food like sweet potatoes and kabocha squash in order to remove the fibers. If you have a food processor, you can use it. I don’t like cleaning the food processor…so I usually use a fine mesh flour sifter and throw in the dishwasher after use. If you like to serve in a ramekin like this, you can pour caramel sauce on top instead of adding on the bottom of the ramekin. No worries, I have a solution for you. 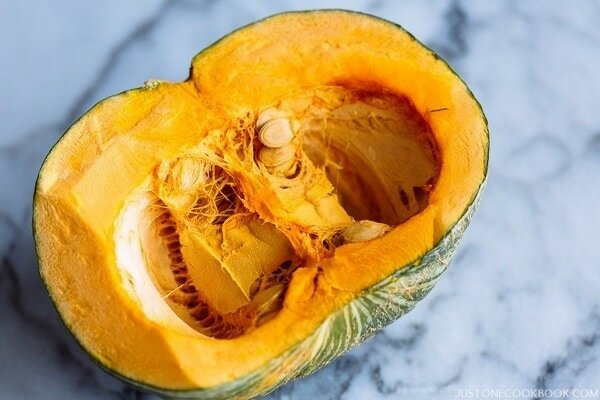 You can steam or boil kabocha on stovetop or microwave it until tender. Then you can follow all the steps until the pressure cooking process and here’s what you need to do. Step 1: Fill the large skillet or pot with 1-inch water and bring it to boil. Step 2: Once water is boiling, turn the heat to the lowest and gently place the ramekins into the skillet/pot. Cover with the lid and steam the flan for 10 minutes. Step 3: Turn off the heat but DO NOT open the lid. Let the flan steamed with remaining heat for another 10 minutes. Step 4: Take out the ramekins and remove aluminum foil. Insert a skewer in the center to see if the custard is set and no liquid coming out. Let cool on the counter until the flan is cool. When they are at room temperature, move to the refrigerator to chill for at least 2 hours, or preferably overnight. This Kabocha Pumpkin Flan recipe is not only luscious, but it’s also a perfect make-ahead dessert to serve for a special occasion. I hope you enjoy! 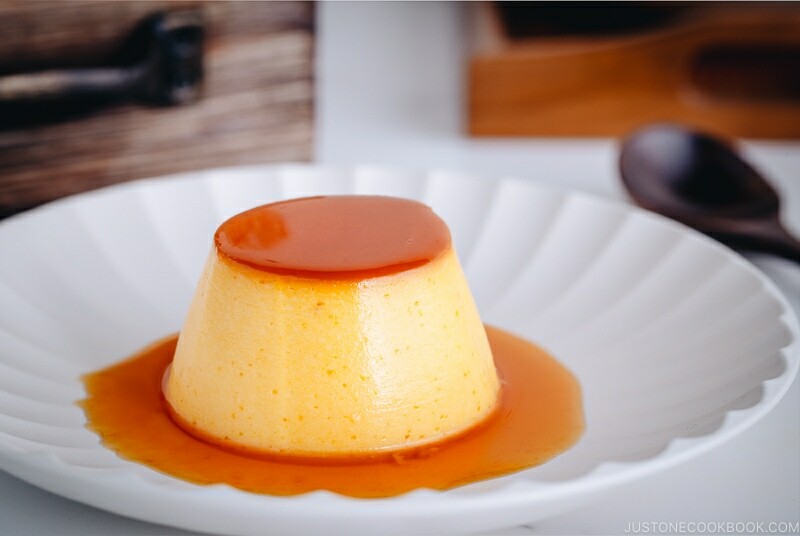 Pressure Cooked in Instant Pot, this Kabocha Pumpkin Flan with caramel sauce has a silky smooth texture and rich custard flavor with a hint of sweet kabocha. Quickly rinse the kabocha under water and remove the seeds with a spoon. Cut kabocha into wedges and then 2 inch pieces. 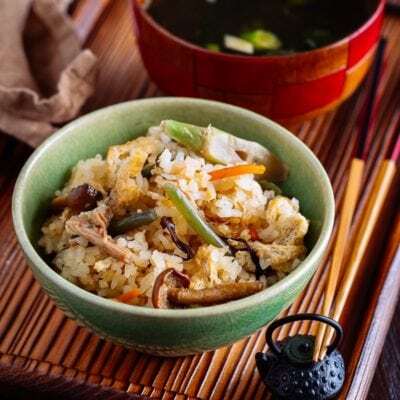 Fill the Instant Pot with 1 cup water and set a steamer basket inside. Put the kabocha in a single layer. 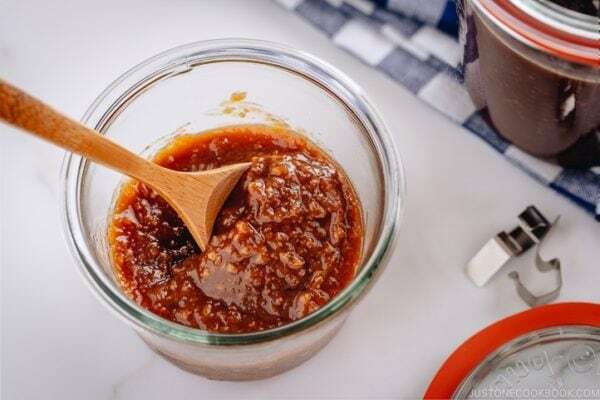 While you’re waiting for Kabocha to finish (Keep in mind that after pressure cooking, you only let the pressure release naturally for 10 minutes), we can make the caramel sauce. Boil water in a kettle or saucepan and set aside (you will only need 2 Tbsp hot water). Put 4 Tbsp sugar and 1 Tbsp water in a small saucepan. Gently shake the saucepan to evenly distribute sugar and do not touch until the mixture starts to turn golden brown. Gently shake the pan again to distribute the mixture to have even color. When the caramel reaches amber color (I like a slightly darker color – which has a milder bitter), turn off the heat and quickly add 2 Tbsp hot water to loosen it. The caramel will splash, so use a lid to protect yourself from getting caramel splatter. Swirl the saucepan to make even mixture and pour the caramel into 4 ramekins. Allow the caramel sauce to cool. When it’s finished cooking, the Instant Pot will switch automatically to the “Keep Warm” mode. Let the pressure release naturally for 10 minutes and then proceed with quick release (DO NOT EXCEED. I recommend to set a timer.) by turning the steam release handle to the “venting” position to let steam out until the float valve drops down. Hold a kitchen towel and do not place your hand or face over steam release valve. The steam should be left only a little bit after 10 minutes of natural release. Open the lid and remove the steam rack from the Instant Pot. Use a knife or spoon to remove the flesh. 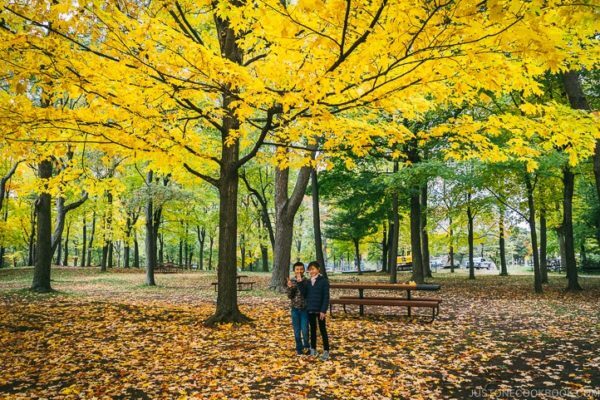 Discard the kabocha skin (but it’s edible!). Use a flour sifter or fine mesh sieve (Uragoshiki in Japanese) or a food processor. 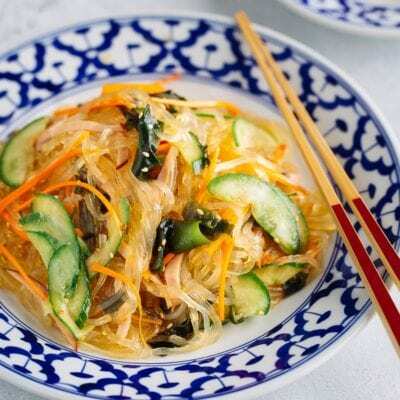 Set the fine mesh sieve over a sheet of parchment paper and press the steamed kabocha into the mesh with a wooden spatula. Once it’s all done, flip the mesh sieve and take out the pureed kabocha onto the parchment paper. 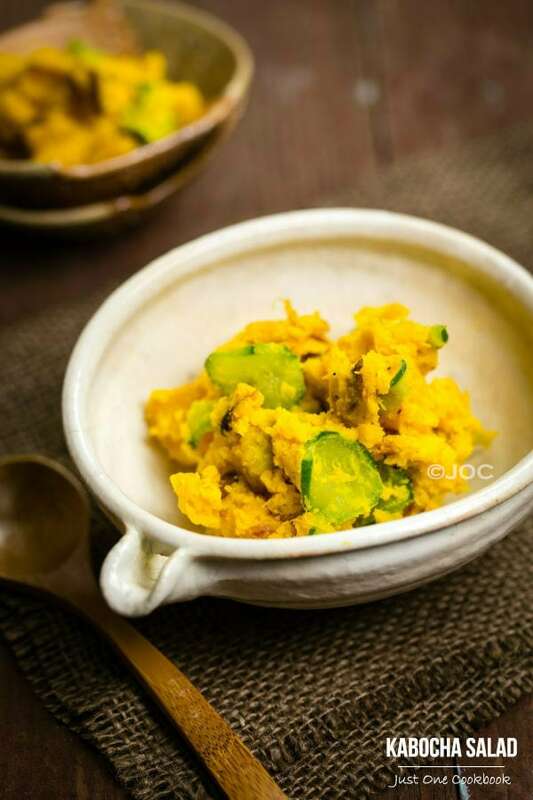 If you’re using a food processor, process the kabocha into a puree. Measure ½ cup (120 g) kabocha puree from the pile. With almost 1 lb kabocha, you will have enough to make 4 ramekins, but you may not have enough puree for another batch. It’s hard to predict the real weight of kabocha with seeds included, so please adjust accordingly. You can also save the puree for up to 3 days in the fridge. I sometimes make Kabocha Soup with the leftover puree. In a large bowl, combine 3 eggs and 3 Tbsp sugar and whisk well. Add ½ cup milk, ½ cup heavy cream, and 1 tsp vanilla extract, and whisk to combine. 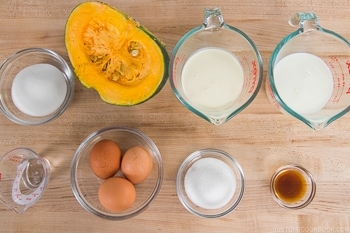 Add the kabocha puree and mix until thoroughly combined. For the best texture, set a fine-mesh sieve over a large bowl (I use a 4-cup liquid measuring cup) and pass the custard mixture through the sieve. 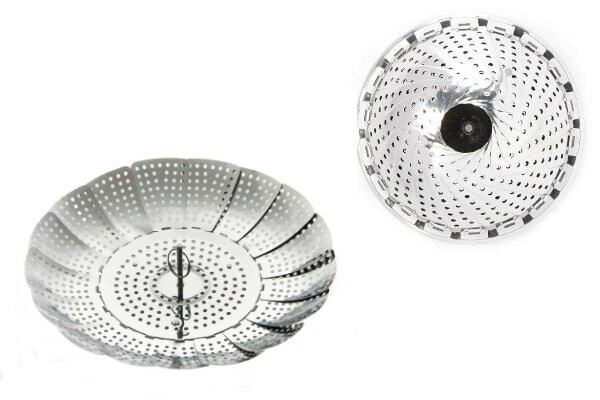 If you have a smaller fine mesh strainer, you can directly pour over the ramekins. Divide the custard mixture into 4 ramekins. 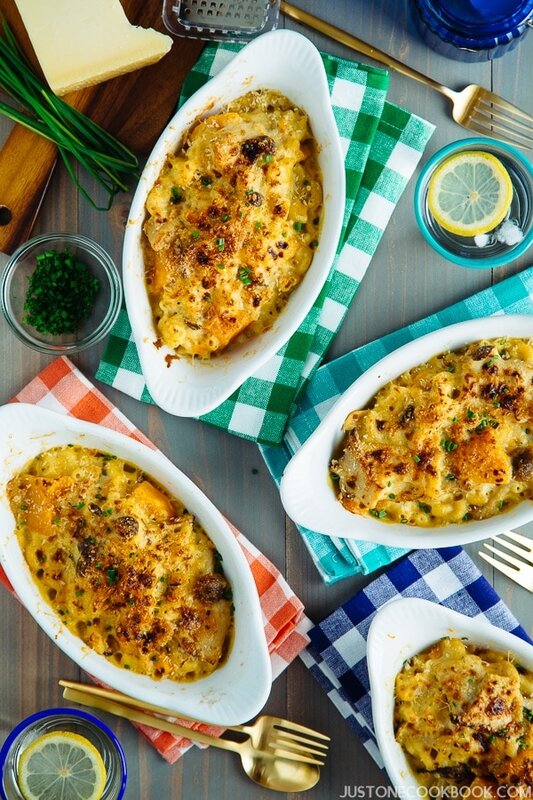 Cover each ramekin tightly with a sheet of aluminum foil. Add 1 cup water into the Instant Pot and place the steam rack inside. Put the 4 ramekins on the rack and make sure they are not tilted. Close the lid and set HIGH pressure for 6 minutes. Make sure the steam release handle points at “sealing” and not “venting”. Take out one ramekin and remove aluminum foil. Insert a skewer in the center of the flan to see if the custard is set and no liquid comes out. If it’s not cooked through, repeat the pressure cooking process (the cooking time varies depending on your result). Let cool on the counter until the flan is room temperature. Then put the ramekins on a tray, cover with paper towel (to absorb condensation/moisture) and plastic, and transfer to the refrigerator to chill for at least 2 hours, or preferably overnight. Run a knife around the ramekins. Hold the ramekin and plate together and shake vigorously a few times to invert onto a plate. Enjoy! 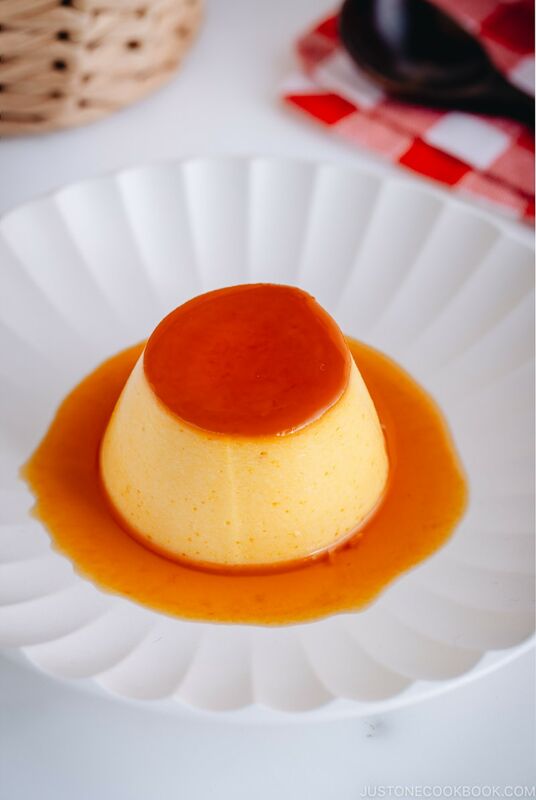 Caramel Sauce: If you serve the flan in a ramekin, you can make the caramel sauce right before serving and pour on top of the flan. Ramekins: Use the same size ramekins when you pressure cook. Do not use the different size as cooking time may vary based on the size of ramekins and hard to predict the cooking time. I LOVE Flan! 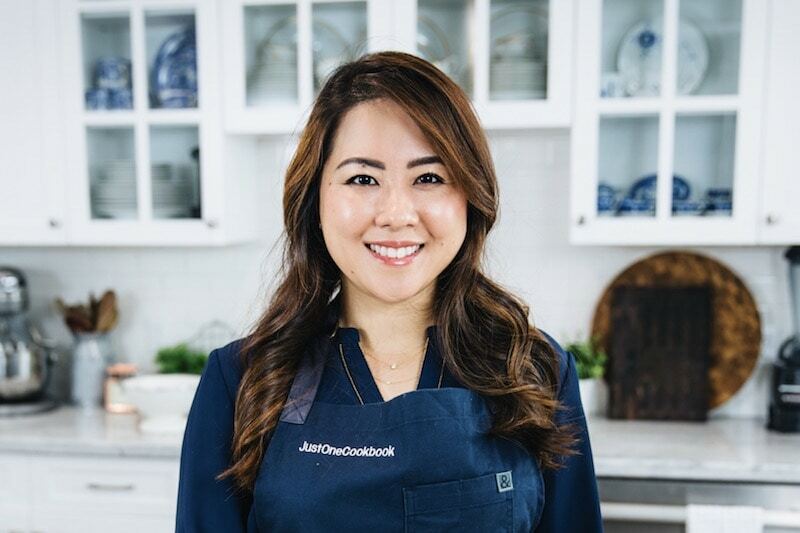 Thank you for your recipe….I do want to try it! Although I have always simply bought a mix in a small box (like Jello!) and made it. The addition of the acorn squash sounds delicious! I’ll need to find a fine strainer. Hi Barbara! Yeah don’t skip to make it into puree (either food processor or strainer). Flan is definitely tastier when you make it at home. Buy good eggs too. It’s wonderful! 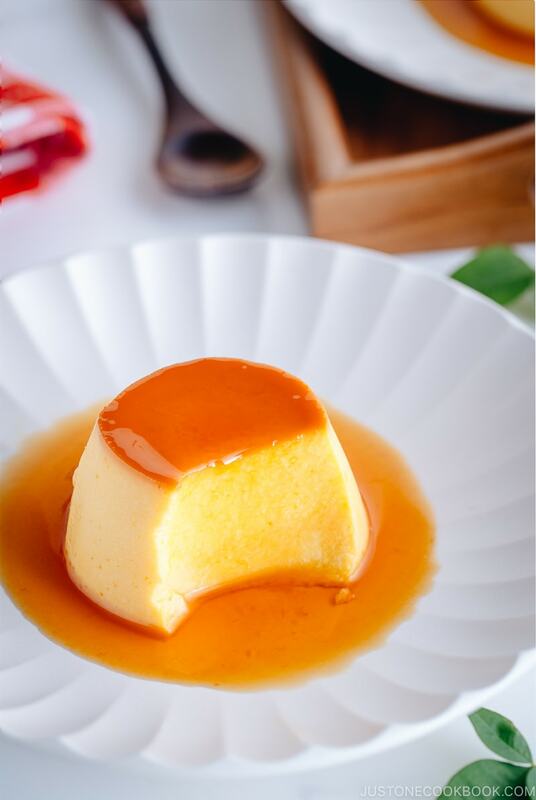 Your flan looks perfect! 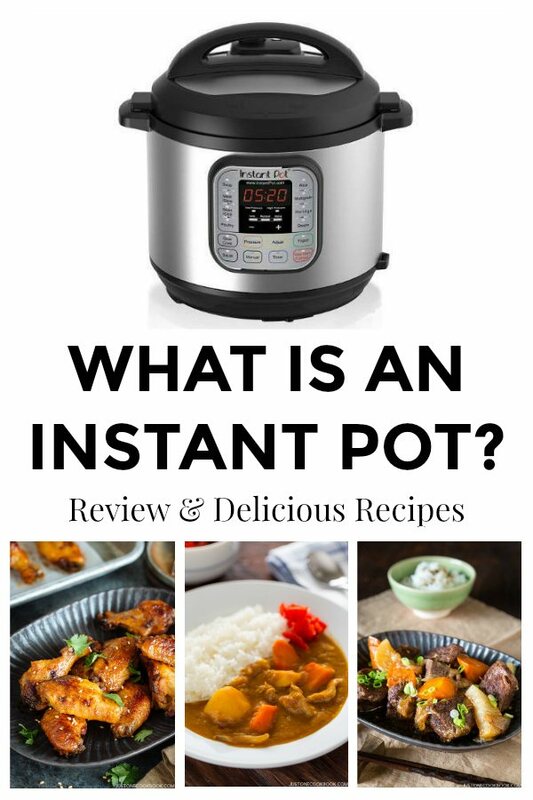 Neat idea to make it in the Instant Pot — fun idea. This looks like it has terrific flavor, too. Thanks! This looks great. 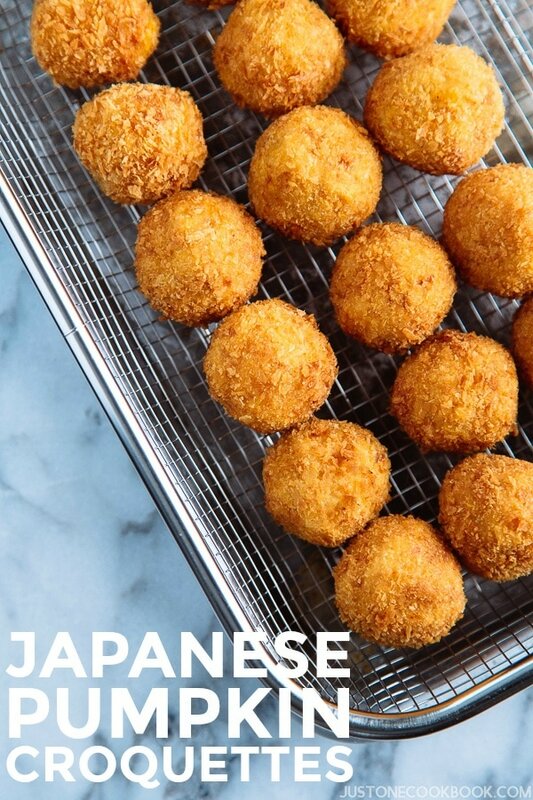 Thanks for sharing such a detailed recipe. I just made this for my husband today and it was perfect. Thank you so much for the great recipe! Hi Bentobox! 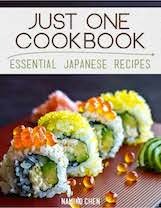 I’m glad to hear you gave this recipe a try and it came out well. 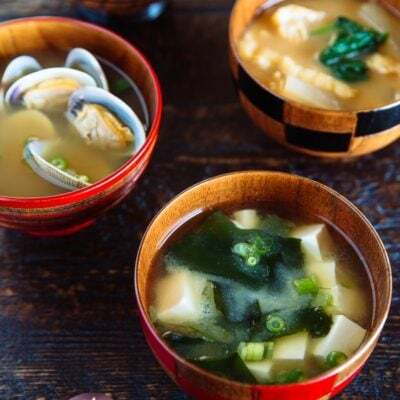 Thank you very much for trying out this recipe! 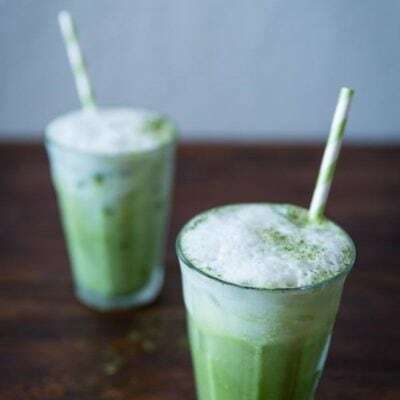 Do you have an alternate recipe to steam in a large steamer? 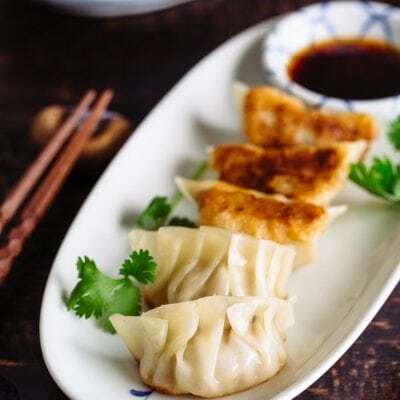 I have a large aluminum steamer I use for steaming dim sum. Thanks! Love the idea of making healthier desserts! Will try today! Thank you and I just subscribe to your weekly posting.